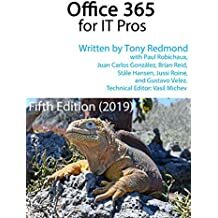 Following along from January’s “Distinguished Award” for Microsoft Exchange Server 2010 Inside Out , I received news today that the book won the “Best of Show” award for “Informational Materials” at the 2011 Puget Sound Society for Technical Communications competition. It’s obviously pleasing to hear about such an award. I think it probably pleases the production team at Microsoft Press more than it does me because this is an award from their professional association and therefore represents recognition from their peer group. It’s good that people such as Karen Szall, who did an excellent job of editing the book, are recognized in this manner. In any case, it now sets a baseline that will be hard to better for an “Exchange V. next” book. That is, if I take on the challenge of writing such a book and find someone willing to publish it! Exchange is now so big that it’s kind of hard to fit everything into one book and keep it under 1 kilo in weight, so maybe a series of more easily-digestible short volumes might be preferable. We’ll see in the fullness of time. This entry was posted in Exchange, Writing and tagged Exchange 2010 SP1, Exchange 2010 SP1 book, Exchange 2010 SP1 books, Microsoft Press. Bookmark the permalink.